Deutsche Telekom is one of the world’s leading integrated telecommunications companies, with some 165 million mobile customers, 28.5 million fixed-network lines and 18.5 million broadband lines. The chatbot was trialled with Deutsche Telekom’s startup incubator, hub:raum. 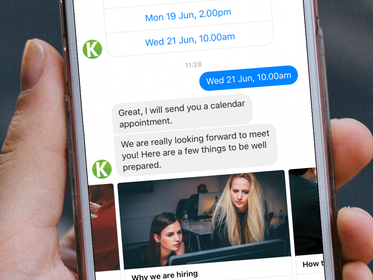 Following this successful trial, jobpal is working with Deutsche Telekom to roll out recruitment chatbots for other business units including T-Systems. jobpal integrated a custom recruitment chatbot for Deutsche Telekom’s startup accelerator, hub:raum. Anna Ott, Head of Talent at hub:raum and HR expert at Deutsche Telekom brought in the jobpal team and worked with them to train a chatbot to augment the recruitment team. The chatbot soon showed strong results, with increased application rates, improved quality of applications and faster responses to candidate inquiries. 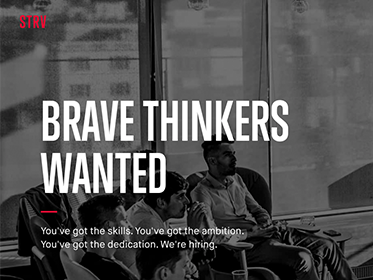 At hub:raum, we have always put the experience of the jobseeker at the heart of our recruiting process. Seeking work can be a frustrating and emotionally draining experience, especially if you are a young person just starting out in your career. I remember when I was a young graduate myself; endless job applications were most often met with poor - or non-existent - employer responses! The idea of building a chatbot came from a moment when I was personally handling some candidate inquiries. I provided the same answer on three separate occasions to different job applicants who had asked the same question in the same day: they wanted to know whether after a successful internship they’re offered a full-time position. The information was already available on the careers page, but the candidates did not see it and, naturally, followed up by asking me. I realized that the ‘frequently asked question’ was the most obvious part of our recruiting process to try a new idea - a chatbot which could be interrogated by job candidates for standard information. Of course, in the beginning, we knew nothing at all about chatbots…. would the chatbot be able to handle it? would our recruiting process actually improve? It was ready for implementation much quicker than expected -- considering the steps involved scoping, data-collection, training, development, and integration; we had the chatbot up and running swiftly. The main work for us was in ‘training’ the chatbot to respond in the way we wanted it to. We worked a lot on getting the tone right. HubBot - at this point it already had a name - also needed a personality, so we spent a lot of time answering questions as we wanted the chatbot to do it in the future, each time teaching the AI to respond in like manner. This was mainly me, writing as I would normally write to a candidate, so in many ways, the chatbot ended up ‘sounding’ a little like me in its interactions. We went live with the bot around 3 weeks after starting the project; you see it on the homepage now, where it still lives and works! Important to us was that the chatbot sets the tone for the conversation that might follow, transport the culture of our company AND though it is clearly not human, it can still be witty, polite and service oriented. HubBot was a huge success. We did not realize that a large part of poor candidate experience is simply the lack of availability or responsiveness from human recruiters. A chatbot is 24/7, always on, always available, always immediate with responses. We found that in many cases the job applicants wanted crucial job details as a precursor to the application: what is the salary, where is the job based, is the position still accepting applications, did you need prior experience and so on. As it turns out, these are not questions that require a human being to answer; the information was standard and the chatbot could handle these inquiries perfectly. A chatbot is 24/7, always on, always available, always immediate with responses. We achieved much-improved candidate experience scores on this alone, as well as increase applicant quality (measured by the conversion ratio of applicants-to-interview) and responsiveness to out-of-hours inquiries (64% of inquiries, in our case). It also freed up the recruiter to work on other projects aimed at improving candidate experience: better job descriptions, great collaboration in assessment. Overall, HubBot was a tremendous success. We’re delighted with it and we’re actively looking now for other areas in which we can deploy the jobpal technology. KellyOCG can enable a recruiting process for talents and business 24 hours/7 days a week with instant, relevant responses by automating activities in the recruiting process.